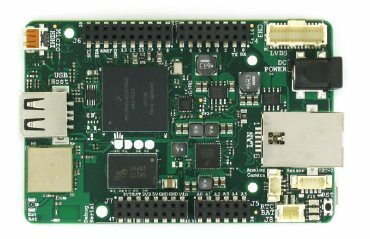 UDOO is a new development platform designed to be compatible with Arduino, Linux, Android and the Google 2012 SDK. Its designers state that their goal was to bring together the best of Arduino and the Raspberry Pi in one platform. You can in fact plug Arduino shields into the UDOO and they will function just as if they were connected to an Arduino. Out of the box, UDOO runs a version of UBUNTU Linux. You can run Linux or Android by simply replacing an SD card on the main board, which determines the OS to boot. The Arduino IDE is available under Linux, and the UDOO includes a second processor (an Atmel SAM3X8E) to ensure Arduino compatibility. The headers on the board are compatible with Arduino shields, including I/O pins, PWM, etc. 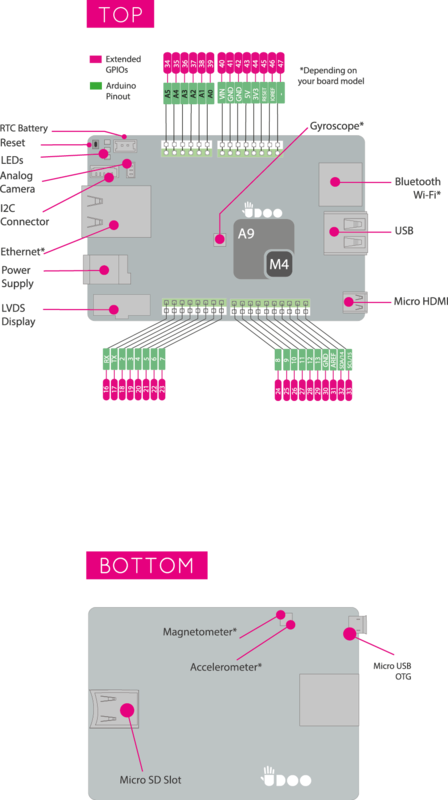 The Arduino processor communicates with the main processor (a Freescale i.MX6 ARM quad/dual core processor (two versions will be available). This processor runs Linux or Android, and all of the Arduino I/O’s are available to it as well as to the Arduino processor. The user configures which pins belong to which processor in software. 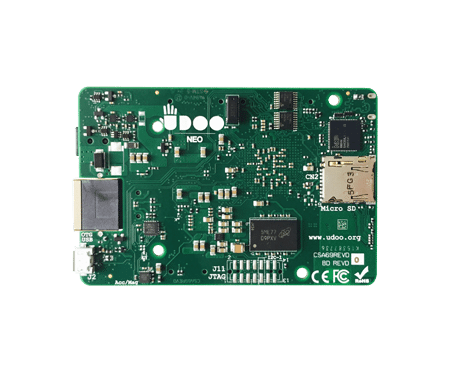 The rest of the core circuitry of the UDOO contains 1GB DDR ram, a gigabit Ethernet transceiver circuit, an audio codec with speaker and microphone connections, a touch screen interface, an HDMI output, a SATA hard disk port, a high speed USB hub controller, and a camera interface. So, what does one do with all this capability? Well, you could connect a WiFi shield to the UDOO and control your Android application via your mobile phone. Or you could connect the gigabit ethernet port for your web-based application. There’s enough processing power to perform text-to-speech or speech-to-text. Interface a keypad, LCD touchscreen, and I/O to build a custom controller. The possibilities are endless given the hardware and OS capability of this device. UDOO is a cooperative effort of SECO USA, Inc. and Aidilab, and a number of university professors and researchers. UDOO started a campaign on Kickstarter, and reached their goal of 27K in only 40 hours. Five days later they reached 100K. So it is very likely that UDOO will be a reality soon. UDOO is poised to become hugely popular. Both the Arduino and Raspberry Pi have enjoyed tremendous success among educators, hobbyists and engineers and programmers alike. It provides a rich development environment in a small, plug and play format. Backwards compatibility with Arduino shields provides the ability to interface the device to just about anything. And given the processing power of the ARM processor, program complexity is not a problem. You can see the Kickstarter project for UDOO at this link. You can visit the UDOO website here. UDOO NEO is whatever you need to approach the world of makers. Launched in 2015 and funded by thousands of enthusiasts worldwide through Kickstarter, UDOO NEO is an Arduino-powered Android / Linux single board computerenriched with 9-axis motion sensors, Bluetooth 4.0 and a Wi-Fi module. 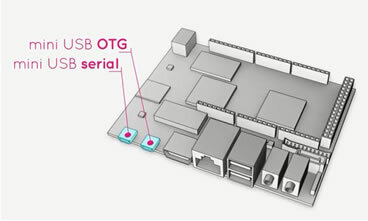 The unique feature of UDOO NEO is its heterogeneous processor, based on two cores embedded on the very same chip. We are speaking of a powerful 1GHz ARM® Cortex-A9 and an Arduino UNO-compatible platform that clocks at 200 MHz, based on a Cortex-M4 I/O real-time co-processor, all wrapped into an i.MX 6SoloX processor by NXP. 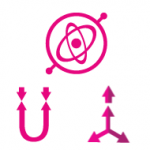 UDOO NEO can be used in many ways. First of all as a low power computer attached to a screen, a mouse and a keyboard. 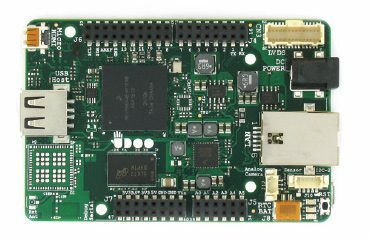 In a second place it can be used as a ARM development board as well as a ATMEL development board. This is the context where the board shines the most, ensuring compatibility You can make the most out of it if you build a drone, a robot, a rover, a 3D printer, a home automation service, an autonomous system. Finally, it can be exploited as an embedded board, i.e. a board designed to work within an embedded context. 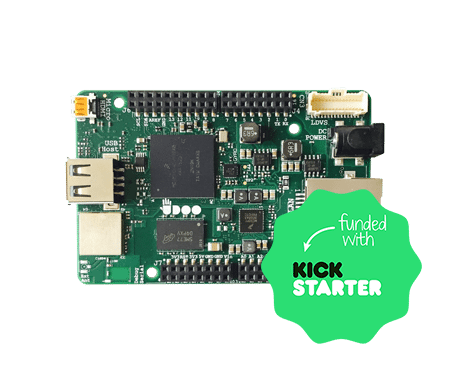 Unlike other development boards UDOO NEO provides the user with whichever is needed to start a project. An extensive open source documentation covers any aspect of the computer, and can be edited by users on GitHub. Users that want to share ideas, problems and perspectives about their projects post on the Forum and eventually ask for technical support. Download the UDOO NEO datasheet here. Arduino Pinout Arduino-Compatible through the standard Arduino Pins layout and compatible with Arduino shields.